Thanks to Ashley for the heads up. As Max (Ryan Eggold) fights for his life, New Amsterdam is in full swing with a pertinent heart surgery that is not covered by insurance and a potential nurses walk out. As the team feels Max's absence and the doctors find out that they may have to treat one of their own, Sharpe (Freema Agyeman) must finally come clean about Max's condition. 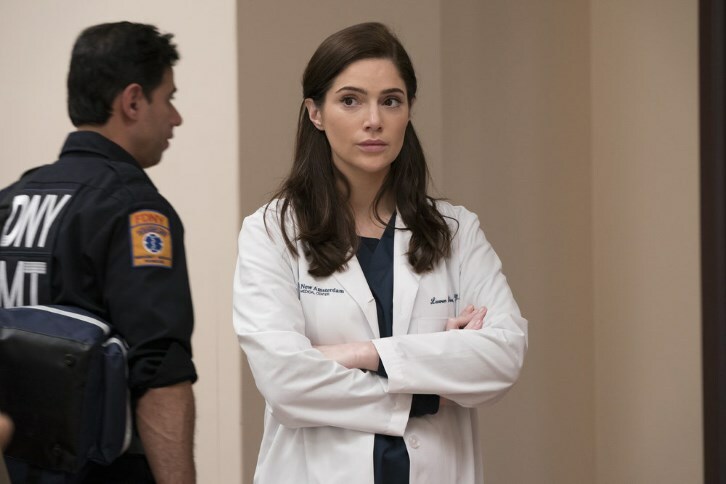 Also starring Janet Montgomery as Dr. Lauren Bloom, Tyler Labine as Dr. Iggy Frome, Anupam Kher as Dr. Vijay Kapoor and Jocko Sims as Dr. Floyd Reynolds. Guest starring Ron Rifkin as Dean Fulton, Lisa O'Hare as Georgia Goodwin, Zabryna Guevara as Dora, Alejandro Hernandez as Casey, Sendhil Ramamurthy as Dr. Akash Panthaki, and Dierdre Friel as Ella.